When I was home with my mom in September, one of my goals was to write down a few time-tested recipes. And I did. I gave this one a try last night. Hubbs loves him some caramel. Or Carmel. Or however you say it. Smiling, I remembered I had absconded with Opal Sandvold’s recipe for “quick caramel icing” from my Mother’s recipe books. An icing so good it deserves its own mention. An icing I remember pouring over warm cakes as a teenaged baker. An icing so delicious I recall watching grown men scrape their plates looking for more. Mrs. Sandvold was Mom to Penny, my sister’s grade-school friend. She contributed to the community recipe book as did Mom and Aunt Irene. You can’t go wrong with a name as feminine and unusual as a rare gem. You can’t go wrong with some of her quick caramel icing, either. Combine 1/2 cup of margarine or butter (1 stick) with 1 cup of brown sugar in a saucepan. Stir over low heat until combined (about 2 minutes). Pour in 1/4 cup of milk (I used 2%) and stir into butter/sugar mixture; continue to stir about another 2 minutes on low heat, stirring steadily until it comes to a boil. Lastly, stir in 1 3/4 cup powdered (icing) sugar. Stir well then beat mixture using rapid stirring motions until the texture is smooth and lump-free (about 1-2 min). Pour over hot cake and enjoy. I baked a white cake but this is also good on chocolate or spice cake, donuts or cinnamon rolls. This looks so yummy: I, too, love caramel. When I saw the title of your post, I immediately thought of an opal necklace that my late sister wore. As a child, I was fascinated by it. Thanks for the recipe – and for bringing back some happy memories! It is. It’s pour-able but settles in with a bit of a crusty glaze followed by soft caramelly goodness underneath. Heaven. 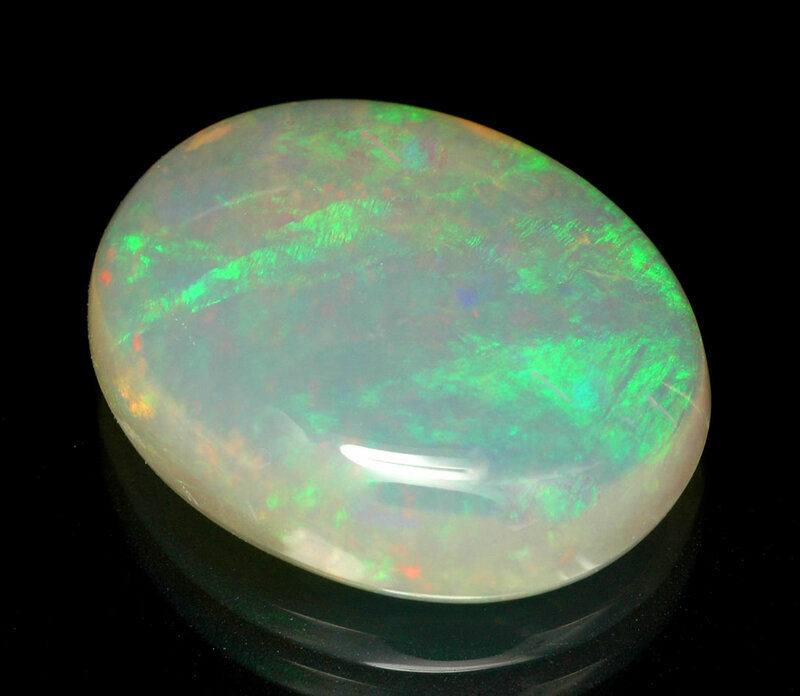 I always loved opals, too – so mysterious! Yum yum yum! I am definitely going to have to try that one. It sounds delicious and easy! Not a fan of cake?!?!?!?!?!?!?!?! Is that possible??? If there was no cake I would stick my head in a steam press. Your confection above looks devilish. i’m hungry now…. I love cake. When I was growing up my father loved chocolate cake with caramel icing, but your combination sounds even better in my mind! Yummy! I’m a fan of the slide show of your pictures – neat. And my husband love caramel. I always pick out the chocolate covered caramels in the chocolate box for him. It looks like another ‘must try’. Thanks MJ! Definitely give it a go; it’s not a really strong caramel flavor but more of a “hint” however it cake take an ordinary cake to something extraordinary. I will tell my husband to thank you for this one…and, I thank you now. Yep, going to the grocery store on a Friday. Well, as it turned out my brother’s mother-in-law thanks you. We went to a family gathering yesterday where we celebrated her 85th while also bidding the college kids good-bye as they return for the next semester. It did my heart good to see that they put candles in that sheet cake and made it her birthday cake. Thank you for what turned out to be a timely recipe. Yep, the cake is gone. I think I can smell its sweet caramelly goodness all the way down here in Texas. Oh, thanks for this recipe. I love caramel anything. I’d been wanting to try a cake with caramel for some time now. Just made this for the second time… put it on cupcakes this time for a coworker’s birthday party. Thanks again for sharing this yummy recipe!